If there’s one director whose name I always hear it’s Robert Altman. Love him or hate him people talk about him and his movies have taken on a cult status all their own. I decided to watch The Player for several reasons. It’s cited as the more accessible of Altman’s films (dealing with Hollywood anyone can get into it), it’s a star-studded affair, and it’s wickedly funny. If there’s one thing I can’t resist (well there are several but we’ll narrow it to one for today), it’s a film about Hollywood, especially films analyzing the industry and/or poking fun of it and that’s what The Player is all about. 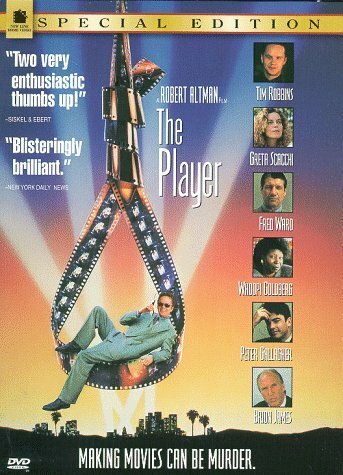 A movie within a movie wrapped up in showing how mindless and soul-crushing the Hollywood studio is, The Player is a smart film that at times you shudder to watch…because it’s far too true. 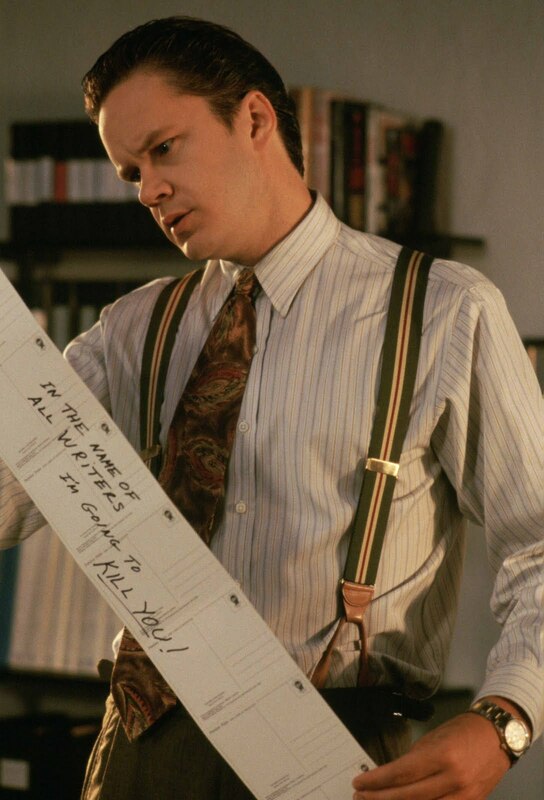 Griffin Mill (Tim Robbins) is a Hollywood script screener who rejects scripts everyday. He gets on the wrong side of one screenwriter who takes to sending him threatening letters. Through a series of events and mistaken identity Griffin gets involved in a murder plot worthy of a Hollywood film all his own. With his life and job in jeopardy the only comfort Griffin finds is with June (Greta Saatchi), the girlfriend of a screenwriter he rejected. The main focus of The Player is skewering the Hollywood studio system and the way movies are churned out nowadays. I’ve included the opening eight minutes of the movie which gives the best overview of what the film is going to be about. The movie within a movie is established even before the film starts with a posed scene and an off-screen director shouting “Action.” From there it’s all about establishing that nothing original comes out of Hollywood today as pitchmen/women give ideas for movies ranging from tired sequels (The Graduate 2) to the high concept gimmick of establishing what your movie is by combining two other films (“It’s Out of Africa meets Pretty Woman“). Having read and learned a lot about the studio system, especially today, The Player is explicit in emphasizing that Hollywood has lost its soul (and in today’s films this movie is timely). The opening also shows the new up and coming players in the Hollywood scene versus the established veterans. Two characters are seen discussing films, the young man doesn’t know what Touch of Evil is while the older man says he doesn’t watch British films. The argument being that each generation has their prejudice in the film industry and thus they’re not as well-established in their jobs as they should. All of this established in eight minutes with various characters being rapidly introduced mimicking the working studio atmosphere where people talk shop and then move on, but in each snippet of face time we get with the characters we see all of their stories would make good Hollywood movies so what makes Griffin’s story so special? Griffin enters the film as the one character who seems like a nice guy. He knows about the industry and while he’s just like all the other execs with his “connections” and need to introduce himself and act like he knows all the stars, he’s not in the business to date celebrities like the younger people in the industry. Despite how different he is from those coming up behind him, his life is still empty. He can only talk in Hollywood terms throughout the beginning of the film, and if that’s not worse his friends can only talk about it. When he says to a group of friends at lunch to not talk about Hollywood, they all laugh because they have nothing other than the hollow glitz and glamour which makes them “cool.” Hell, Griffin masks his harassment letters by pitching them as a movie to get an idea of how to handle them. I’m not a fan of Tim Robbins generally but I enjoyed following his journey from boring studio exec to murder suspect and, eventually, head honcho. He goes through a complete narrative transformation by story’s end and when that conclusion comes you’re left to wonder how much of Griffin’s soul has been ruined by the events of the film. Without spoiling things Griffin gets what he wants at the end, but you’re left to question the true cost. He becomes the cold-hearted executive, stepping on those who have helped him, and while it’s nice he got the happy home he’s not the same man. Robbins does all this without losing the affability he establishes in the beginning of the film and that’s a feat. Another feat is how a film about Hollywood doesn’t stop to parading a large group of celebrity cameos in your face. There are a lot of celebrity appearances; IMDB lists about sixty but they’re all fluid and organic to the plot. The ones making guest appearances are seen eating lunch or similar mundane activities. They don’t take up any screen time outside of being introduced to Griffin or other characters. You really feel like you’re a member of the Hollywood studio system, watching these actors do their everyday activities and nobody else notices. Once the initial “starstruck” stage of seeing a particular actor wears off you become like Griffin; they’re just people you work with. I mentioned above about the inexperience of those who don’t truly love Hollywood but as Griffin is slowly pushed aside from a rising executive named Larry Levy (Peter Gallagher) it becomes a metaphor for the high concept/big box office mode vs. the quality picture way of doing business. Larry is a man who thinks scripts write themselves and has each executive look at a newspaper and turns the headlines into movie ideas (right down to the stock exchange numbers). Furthermore, he believes “awards pictures” are nothing without big box office (a mentality you sadly see in film today). What’s disturbing and dangerous is that the idea of the classic film slowly erodes throughout the movie. Sure Griffin knows classic films like The Bicycle Thief, but when he meets screenwriter David Kahane (Vincent D’Onofrio) he offers him the ability to remake The Bicycle Thief but wants to “keep it pure.” Oh the irony in that sentence, that’s not out of the realm of possibility for Hollywood today. The audience themselves are constantly being reminded about classic Hollywood via the movie posters throughout the film, especially in Griffin’s office, or the postcard he receives from his stalkers that has Humphrey Bogart on it. 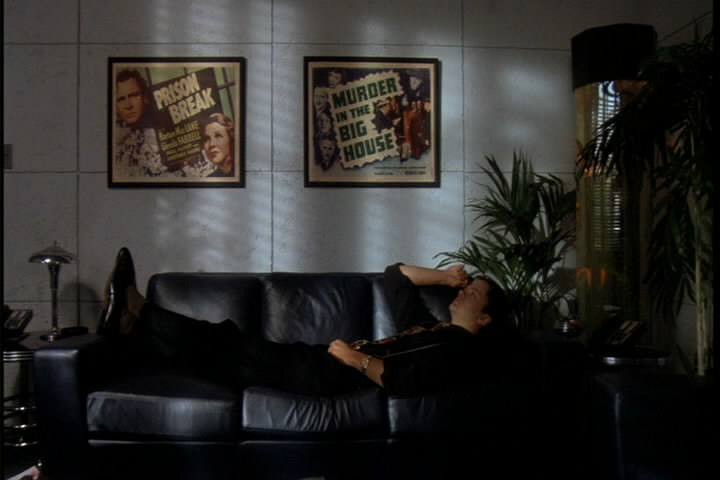 The posters act as foreshadows of Griffin’s fate seen when he’s being interviewed by the police (Murder in the Big House) or when he finally confesses his love for June (Highly Dangerous). While these are prognosticators of his fate, they also show what classic Hollywood has been reduced too; a lonely, beautiful poster hanging on someone’s wall. I’ve only scratched the surface of The Player, I haven’t discussed the love story or the ending (which returns to the movie within a movie format to great effect) because there’s so much that has to be shown. Altman appears to be the master of combining the blistering dialogue with hidden visual cues to make things stick. I’m not sure if I’ll see anymore Altman films but The Player stands as my favorite. Interested in buying? 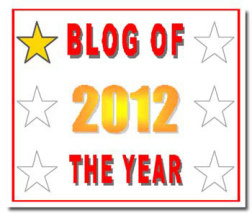 If you purchase via the link below a portion of your purchase is donated to this blog! Thanks! Some of Altman’s films are aggravating because it takes so much work to watch them. I like this one, Kansas City, The Long Goodbye, McCabe and Mrs. Miller, and his last one, A Prairie Home Companion. Brewster McCloud is an acquired taste, but it’s one of Wes Anderson’s favorite films. 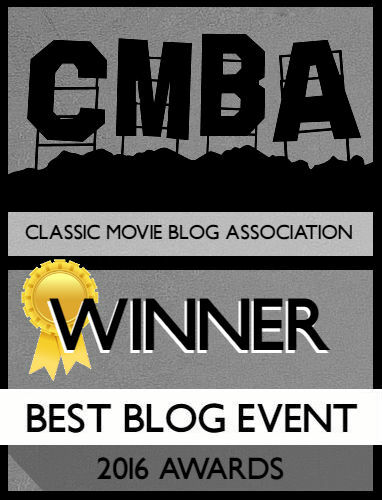 I’ve been interested in seeing The Long Goodbye (as I’ve heard it’s one of the best neo-noirs) and McCabe and Mrs. Miller for Warren Beatty. Praire Home I’ve seen bits of and might finish that. From what I’ve seen I definitely agree about him being an acquired taste. Thanks! I like how the ending is the guy getting pitched the movie we just saw. The opening where they were talking about Touch of Evil is an in joke because Touch of Evil started with a several minutes long sequence with no cuts and as they are talking about it The Player is doing the exact same thing. Another movie worth checking out that has a lot to say about how a picture gets made is State and Main. This one takes a comedic approach, though. Interesting, I need to move Touch of Evil up further on my Netflix it seems. I’ve seen snippets of State and Main, I might have seen more…I’m definitely remembering I’ve seen it in some way. Might have to go check that!